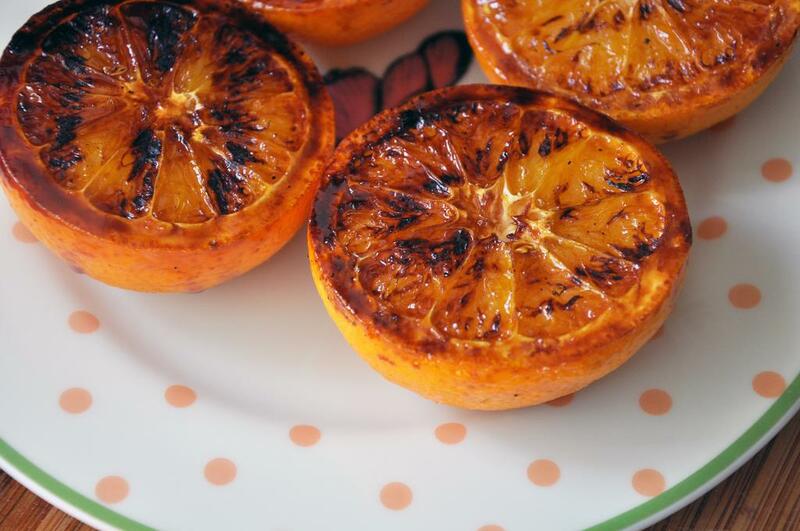 Sugaring and grilling oranges makes them super juicy and extra sweet! Be sure to pick up 'extra firm' tofu or your strips won't stand up to the grill. Just like chicken, beef or pork, tofu soaks up marinades well. Just a touch of EVOO and herbs goes a long way to boosting flavor. 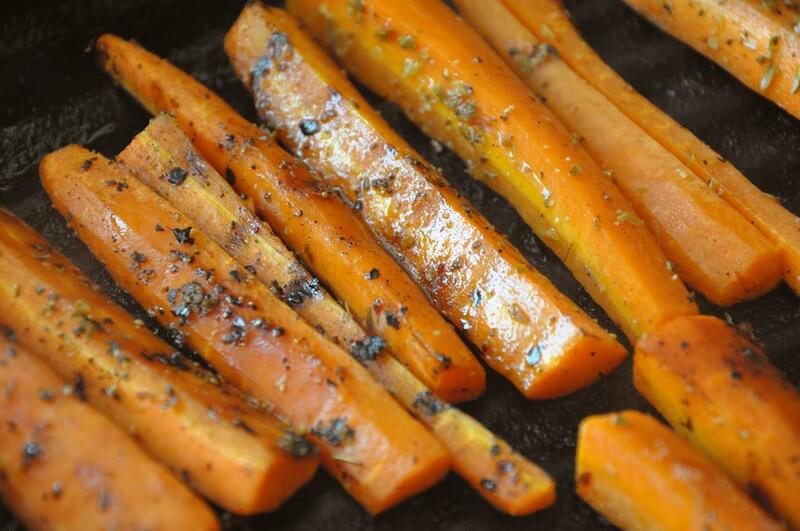 You want the carrots to soften a bit, but still keep their inner crunch. Cutting the carrots roughly the size of the tofu makes it easy to lay out on the tostadas. Mashed avocado, but still chunky. 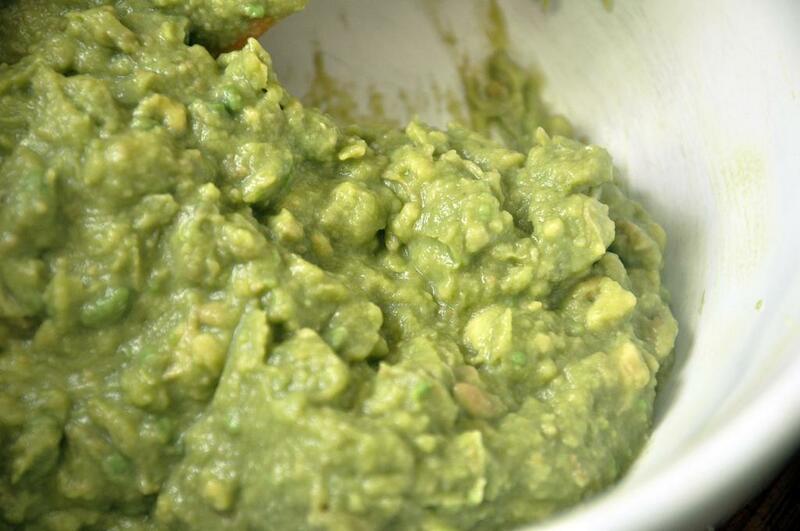 Lime adds flavor and keeps the avocado from brewing too quickly. Heat grill pan over medium heat and spray with cooking spray. 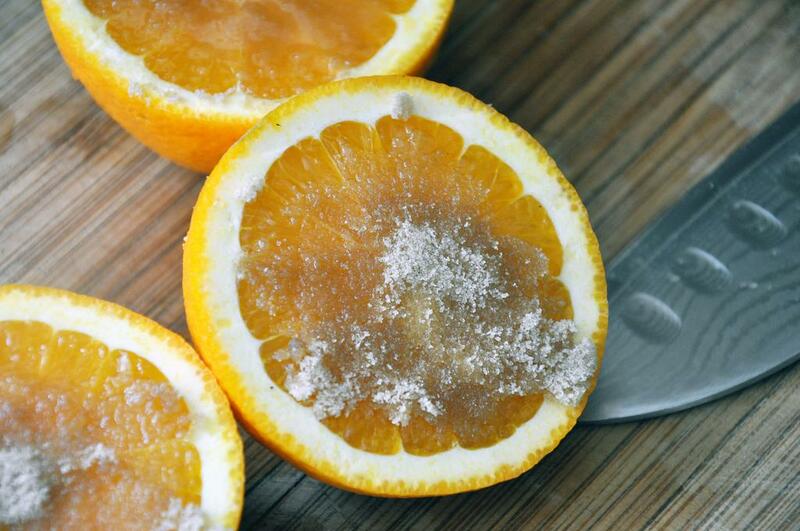 Rub the brown sugar into the orange halves and grill, cut side down, for 3-4 minutes. Remove and let cool, but keep grill hot. Meanwhile, juice oranges, strain and add to a food processor. Add mustard, chipotle with its sauce, and garlic as well. Puree until smooth, and then pour into a small casserole or other baking dish. 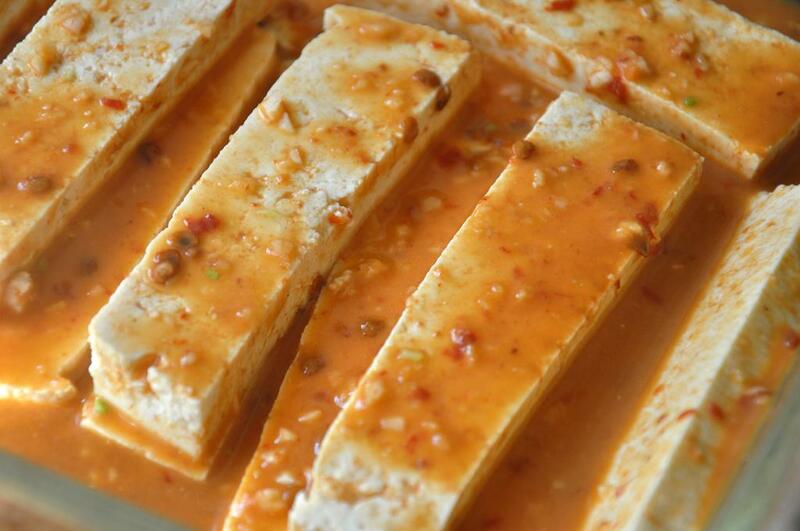 Remove excess water from tofu by laying it on several layers of paper towels. Then cut horizontally and then in 1/4" slices. Gently lay the slices in the sauce and let marinate 20 minutes. Meanwhile, drizzle honey, oregano and SnP over the onion and carrots. 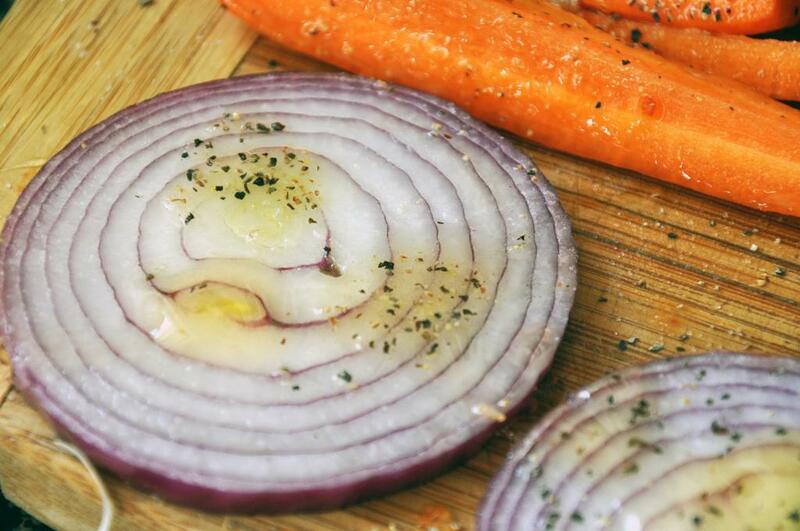 Respray the grill pan and grill the veggies - onions about 3 minutes per side and carrots about 7 minutes per side. Remove and let cool, but keep the grill pan hot. Mash the avocado with the garlic and lime juice and set aside. Finally, grill the tofu about 4-5 minutes per side. Save the marinade. 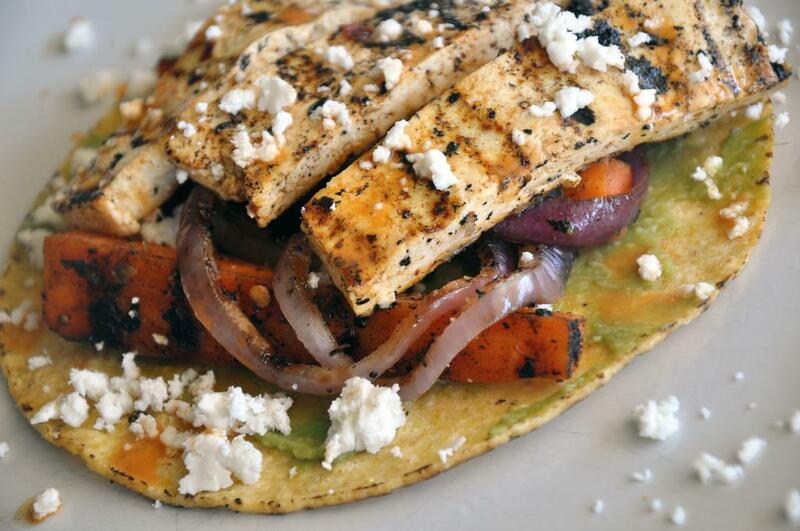 To assemble, lay one tostada on a plate. Spread 1 Tbsp avocado mixture across the tostada. Top with carrots, onions then tofu. Sprinkle with cheese and extra marinade. Serve warm or at room temperature.